Skydiving is an awesome sport full of incredible people, opportunities, and the big open blue sky most of us call freedom. It may be overwhelming in the beginning to believe that confidence will come as there’s so much to learn, even after the A-license. 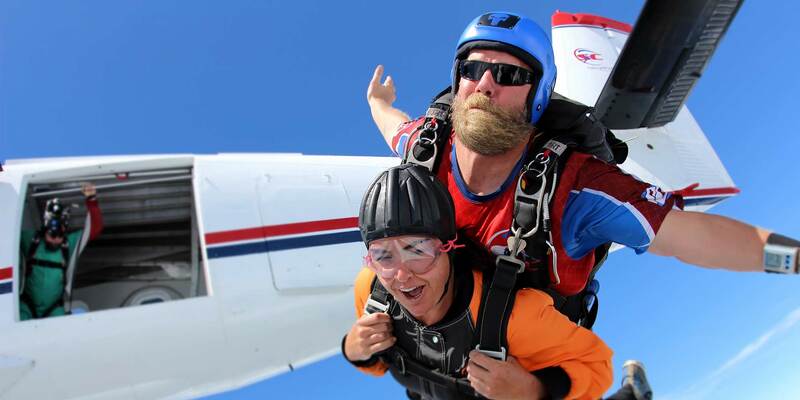 Skydiving is a sport where reaction time to events whether common or an emergency is crucial in this high-speed sport. The ability to react quickly and efficiently in high-stress situations requires currency, procedure and repetition. Experience shows that proficiency in any skill is in direct proportion to the frequency with which the skill is exercised. This is especially true with skills which require presence of mind, coordination, sharpness of reflexes, and control of emotions. The second jump of the day is always easier since anxiety is reduced-the jumper has already experienced one jump. Long lay-offs between jumps not only dull skills but heighten apprehensions. Because of this human characteristic, these procedures are presented to establish currency. First, let’s throw it back to YOU, the jumper. Think of THREE reasons why YOU think currency is important? From your first jump, instructors will have you practice, recite and visualize to prepare for what to do for the tasks at hand and to deal with emergency procedures. Skydivers of all levels rehearse and visualize a skydive, check their equipment and practice emergency procedures, and when amongst each other, talk about their experiences. Procedures are often updated due to improved techniques or technology. This is one reason why currency is important – to retain the skills, continue to evolve with the changes and build a sound muscle memory. Next, think of THREE reasons why procedure and repetition are important? The immersion in the sport is a form of continuing education. However, nothing replaces experience other than experience itself. Jump! Jump a lot! Find a mentor, get coaching, attend a camp, cross train in the tunnel, watch training videos, and stay current. Only jumping and educating yourself will instill procedure and repetition and gain experience. Through this experience, you’ll realize not only how professional skydivers build the skills, but also have confidence. To find out how Skydive Carolina can help you build the confidence you need to progress further in the sport, give us a call!